Avocado toast gets an upgrade with the addition of bacon, egg, and hot sauce for an extra kick of flavor. 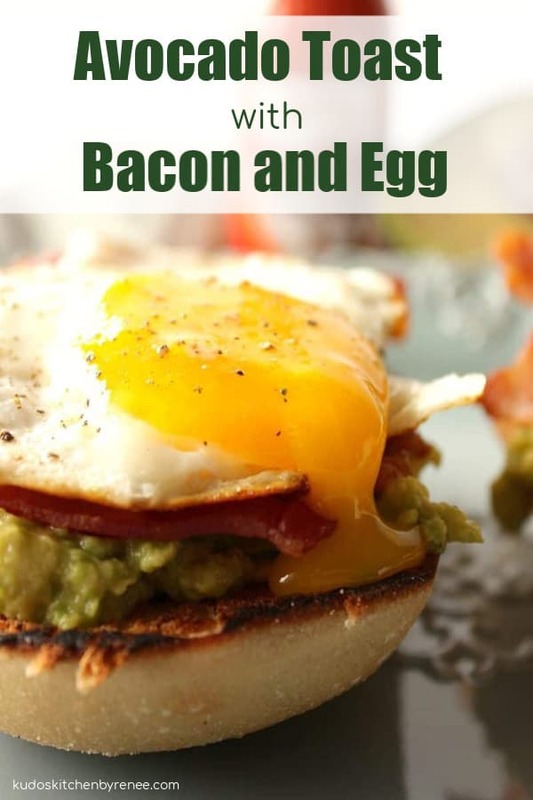 Avocado Toast with Bacon and Egg is the perfect sandwich for any time of day! 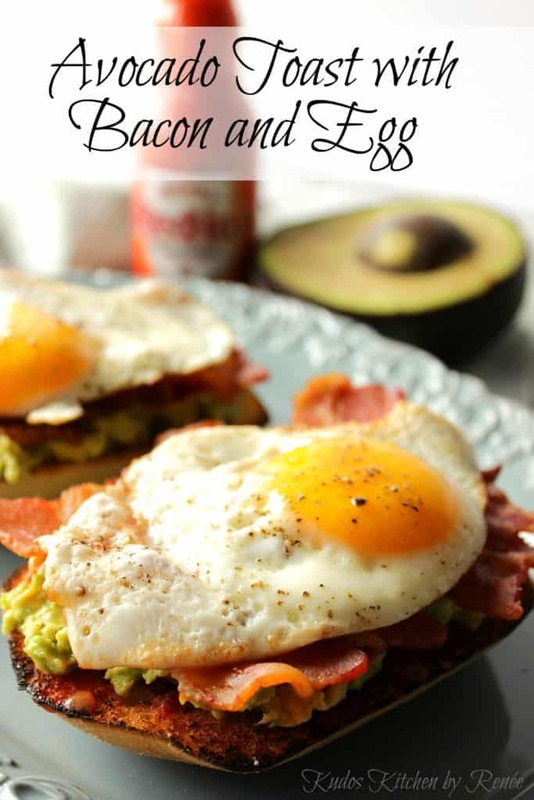 **Please Note – The printable recipe card with detailed instructions, complete ingredient measurements, and nutritional information for making The Best Avocado Toast with Bacon and Egg is available near the end of this post. 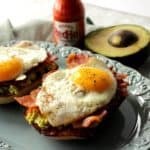 For every two sandwiches, you’ll need one ciabatta roll, one avocado, two slices of cooked bacon, two eggs (prepared your favorite way), and as many dashes of hot sauce you like. Of course, if you’re not a fan of hot sauce feel free to leave that out of the equation. Don’t like over easy eggs? No problem. 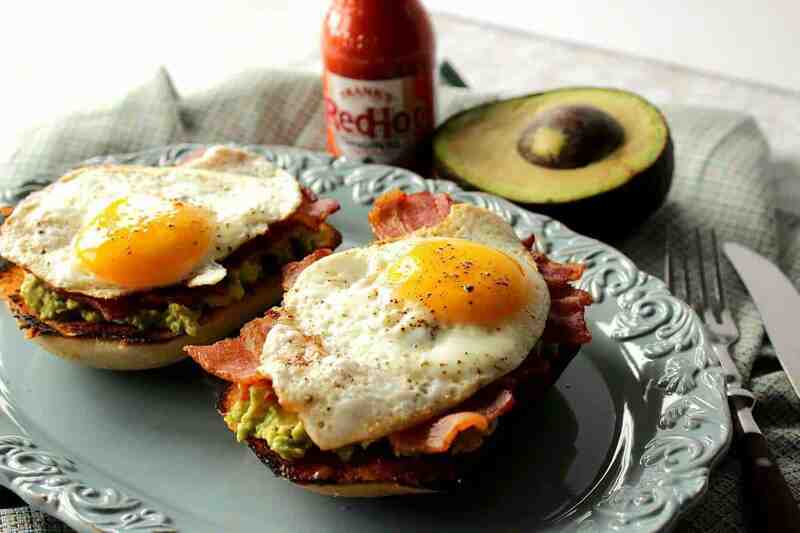 Make your avocado toast with bacon and cook the egg the way YOU like it! When is the best time to serve an avocado toast sandwich? You can serve it for breakfast, lunch or dinner! And guess what else? This simple avocado toast sandwich can even pull double duty that goes from a weekday breakfast, lunch, or dinner sandwich to something special and celebratory! Why not make one (or two) to enjoy as you celebrate Cinco de Mayo this year? Maybe pair it with a nice margarita if you’re so inclined. And don’t forget mom. 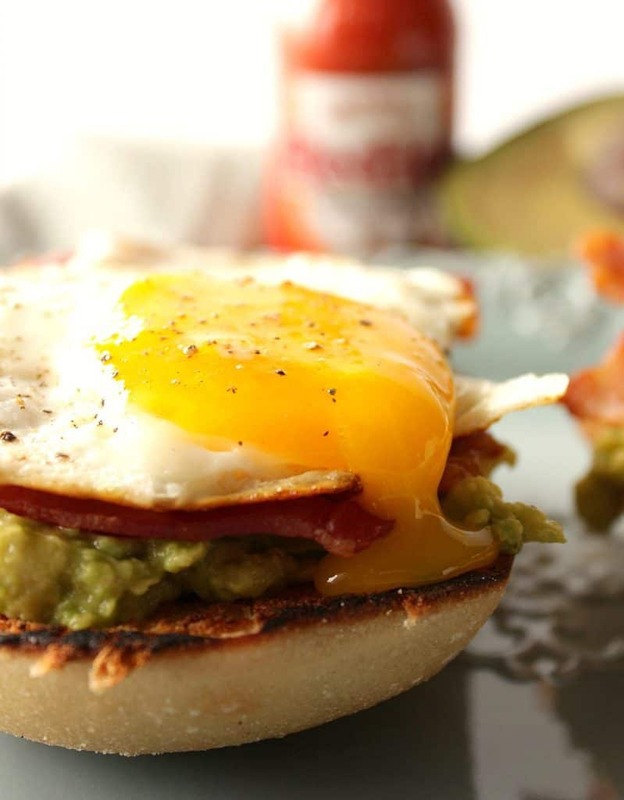 She’ll love it if you serve her this healthy and tasty bacon and egg avocado toast breakfast sandwich in bed for Mother’s Day! Pamper her. Mom will love you for it! You’re going to love all the flavors and textures this incredible avocado breakfast toast sandwich has to offer. It has the undeniable crunch of the toasted ciabatta. The cool creaminess of the mashed avocado. A salty meaty bite of the cooked bacon. And last but certainly not least, the spicy hit of hot sauce that lingers on your tongue to keep you coming back for more. Avocados are packed full of vitamins and minerals. Every avocado has 26% of the daily value of vitamin K, 20% folate, 17% vitamin C, 14% potassium, 14% vitamin B5, 13% B6, and 10% vitamin E.
Avocados also contain small amounts of magnesium, manganese, copper, iron, zinc, phosphorous, vitamins A, riboflavin, thiamine, and niacin. They are a high-fat food, but they’re filled with a monosaturated fat that is actually heart-healthy. Avocados are also loaded with soluble fiber which is known for feeding friendly bacteria to the gut and intestines helping them run at optimal performance. Use a serrated knife to slice the ciabatta roll in half. In a dry skillet, toast the ciabatta cut side down until it’s browned and toasty. I also like to cook my bacon in the oven. To do so, line a baking sheet with a rack and lay as many pieces of bacon as you like (making sure they don’t overlap) on the rack. Bake the bacon in a preheated 425-degree oven until the bacon is cooked to your desired preference. I make sure I have all the elements of this sandwich made, and in place, so when it’s time to assemble the easy breakfast sandwich it goes together quickly. 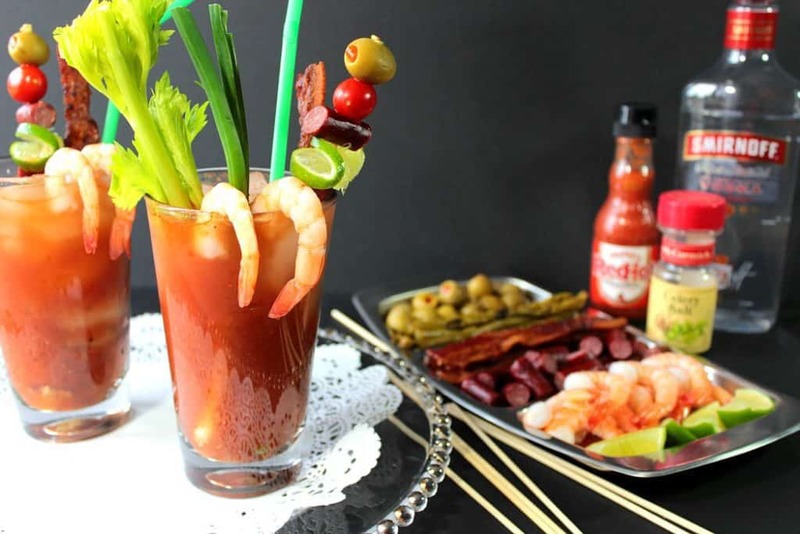 And, what goes better with a delicious Avocado Toast with Bacon and Egg sandwich than an amazing Bacon Bloody Mary? Talk about and necessary indulgence and a great way to start any special day! You deserve it!! Below is the printable recipe card for today’s Avocado Toast with Bacon and Egg. If you’ve enjoyed this recipe and look forward to making it (or have already made it), I’d appreciate if you’d take a moment to give it some feedback by way of stars near the comment section at the end of this post. Thank you so much! 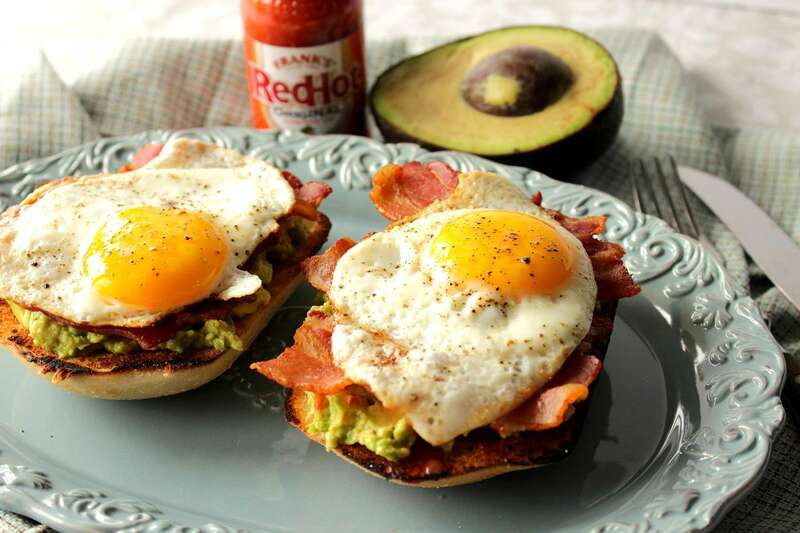 Creamy Avocado, crunchy ciabatta, sweet and smokey bacon, hot sauce, and egg. It's the perfect sandwich for any time of day! Top the toasted ciabatta with the mashed avocado. Top the mashed avocado with cooked bacon slices. Top each toast with an egg cooked to your desired doneness. It's helpful to precook the bacon, mash the avocado, and toast the bread before assembling the sandwich. I sincerely hope you’ve enjoyed today’s recipe for Avocado Breakfast Toast with Bacon and Egg as much as I’ve enjoyed bringing it to you! 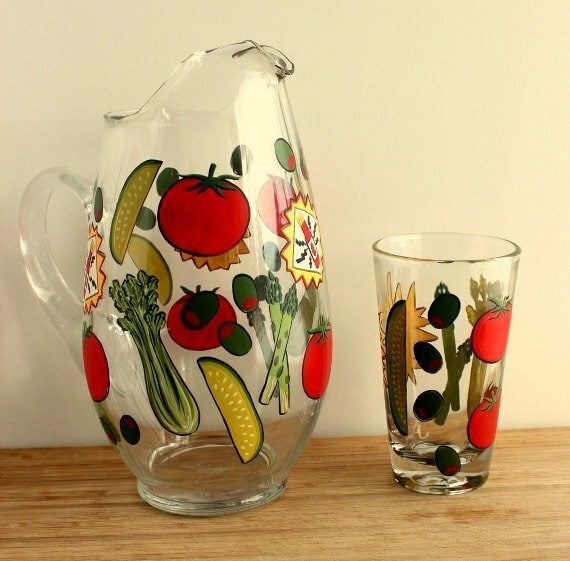 Don’t look now, but I’ve got you covered in the hand-painted Bloody Mary pitcher and glassware department too. This set would make a wonderful gift or conversation piece for anyone who enjoys a good, homemade Bloody Mary. CHEERS to that! Love the simple ingredients!! Oh, and this is an upgrade to avocado toast I can totally get behind! Drooling over here…..
Oh my goodness, this puts both my breakfast and lunch today to shame! Must make this tonight for dinner, to save the day! You cooked those eggs to perfection! 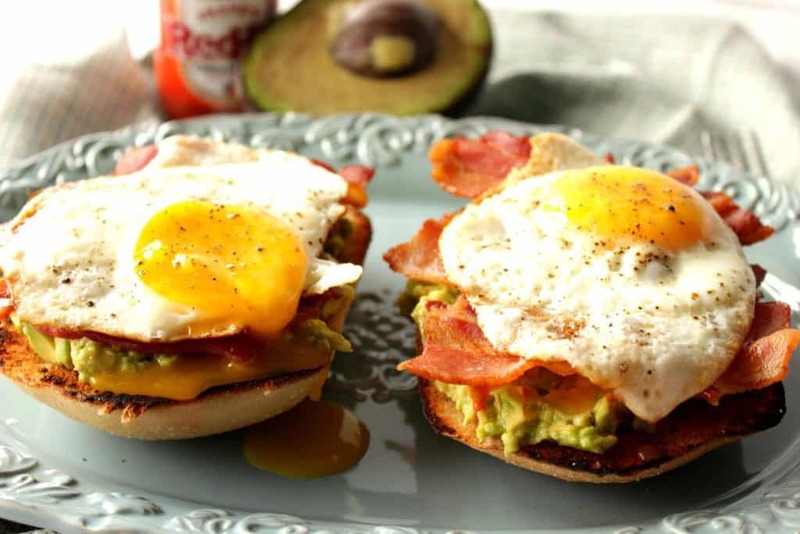 Avocado, bacon and eggs – oh Renee, you are speaking my language! What a fantastic breakfast for Mother’s Day or any time of the year. This looks scrumptious and something I could enjoy for any meal of the day! 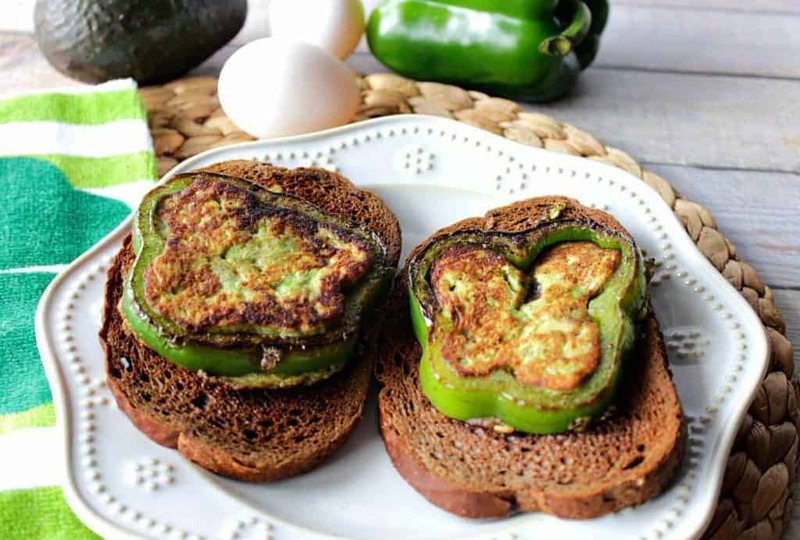 I love my avo toast with an egg….I need to try adding the bacon, too! YUM! This is the perfect Mother’s Day breakfast in bed! I’m definitely giving this recipe to my husband! Love your spin on avocado toast with the bacon! This might be a way for me to get Thomas into eating it! Why hello there, breakfast perfection! Or anytime perfection, in my book. This is filling and delicious and I even enjoy it from lunch sometimes! Great recipe! Great for lunch and dinner, too. Any time of day is right for these delicious sandwiches. Thanks, Marjory. I’m so glad that I stumbled onto this recipe today. The snow is flying again this weekend and this will make a delicious comfort food breakfast on Sunday and I’ll be saving it to my favorite Pinterest board for easy reference in the future. Thank you for sharing! It’s my pleasure, Julie. So happy you like the recipe. It will make a great weekend breakfast. Enjoy and thank you!